And now, it is my great pleasure to introduce my fellow inkpot member, the immensely talented Sandra Waugh! 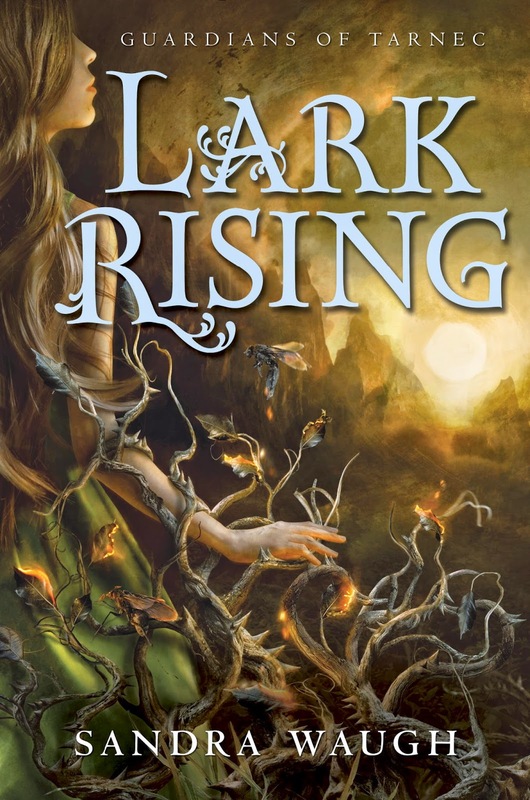 As you know, I loved LARK RISING! How did you come up with such an interesting and fresh premise? That a hawk stopped by on my porch one morning is old news by now, but truly—that was what that tied together loose threads of a story I’d been trying to understand. I sat down and wrote the first pages based on that brief moment and the rest followed, fleshed out over many, many lawnmowings (I think it’s also old news that I work out my stories while mowing the lawn!). I followed a classic fantasy trajectory but hopefully (as you say!) from a fresh perspective. It follows from all that mowing that so much of the story is about Nature and the fragility of Balance. I work out most of my stories walking my dog, so I totally understand that! Your fantasy world is so unique. I loved Lark’s connection to the earth and all of her creatures. The world was both achingly beautiful, and at times, terrifying. Can you describe your world building for us? It’s just past my doorstep. I live in an old house with about four acres of grass and garden and woods—it’s my job (beyond just lawnmowing) to try and hold back the wilderness. It’s basically impossible. But even so, I kind of love the challenge because it has brought me up close and personal with my surroundings on a daily basis. I’ve watched Nature struggle and thrive, and some of the most beautiful moments—the first spring crocus, the fattest wild autumn raspberries; discovering a hummingbird moth (who KNEW there are such things as hummingbird moths!) or watching a crowd of fireflies dancing above the back field. There are, too, the dark things (hearing the coyotes at night closing in for a kill, or finding too late a vine has sucked the life from a tree) But… the magic is right there in all of it. Well, you’ve certainly woven those elements of danger and beauty into LARK RISING. I love that your magical world is really just a version of the one out your window! One of my favorite parts of LARK RISING was the heart pounding climax. I could not stop reading! Lark, who begins her journey as a timid girl who loves to toil in the garden and spend her time with her cousin, Evie, and her grandmother, must dig deep within herself and find the courage to face her fate, and the dangers that come with it. Was the climax hard to write? Actually, I think it was my favorite part! I love action, and heart-in-mouth threat. I also love that Lark had grown enough to face such threat. And I loved her bravery in those moments. But… there are some very sad moments as well and so admittedly I was often choked up while working. I shed a few tears while reading it, too! Which is your favorite character from this book, and why? They are all favorites—after all, good or bad, you have to love your characters! But today I’ll choose the Bog Hag. I had the best time writing her—all knobs, and sticks, and rage, and glee. She flew onto the page. Which character are you most like? Or who would you like to be friends with? There are pieces of me in every character, but I am probably closest to Lark, and so I would love to have as my friends her best friends: Evie and Quin. They are free where she is not. They can cajole her out of her timidity as well as shield in difficult situations. And best—they are true of heart. I would love to have all three of them as friends! I can’t wait to read the sequel (hand raised to interview you again! ), which focuses on Lark’s cousin, Evie, who must take back the amulet of Death. Can you give us a hint of what we can expect from SILVER EVE? Well… here’s a bit of blurb: A Healer without home or purpose Evie Carew has found the perfect place to disappear: Rood Marsh. She can easily fade into the vast wilderness of reeds and leave behind the violence now claiming her innocent world; leave behind the tragedy that broke her heart. But the girl is not alone in the marsh. A Rider, a seer, and Breeders of Chaos all seek her, for they know something she does not—Evie is one of the Guardians, one who can help save the world from the coming destruction by reclaiming the amulet of Death. But fulfilling her destiny, meeting true love or a brutal death, is a matter of who finds her first. And now, a few questions for our readers to get to know you better! Favorite Place: England. All of it. 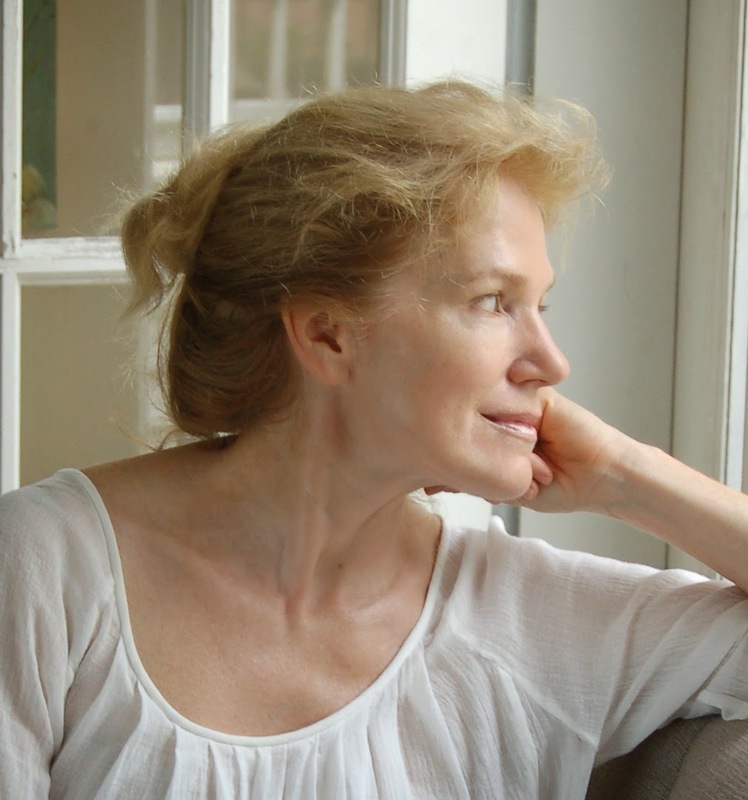 You can find Sandra on her website (http://sandrawaugh.com/) and on Facebook,Twitter, Goodreads, Pinterest or Tumblr. It's my pleasure to introduce our readers to Lou Anders, Hugo award winning editorial director of Pyr Books, and author of Frostborn. Those words were said to my son by another little boy on his little league team. I didn’t know until afterwards, or I would have had a few things to say. About how long my wife worked to become American. About the interviews, the exams, the travel, the expense. About how maybe working your tail off for something counted more than just being handed it at birth. But really all I should have addressed is that absurd idea that there’s a single American look. When the President was elected, a family friend, who I’m pretty sure voted against him and doesn’t like his politics very much, nonetheless wrote to say how glad she was that my children had a biracial man in the highest office in the land to inspire them. I appreciated her words, particularly her choice of the word “biracial.” Not just a black man, which was historic enough, but a biracial man. Frostborn is my first book, so you can imagine it means a lot to me. But mixed in with all that debut author excitement is my happiness at being able to give a gift to my children. I wanted to write a story that my kids could see themselves reflected in, a story for boys and girls both. My son is an obsessive gamer, and so, too, Karn Korlundsson is a gamer. You don’t have video games in the year 986 AG in the land of Norrøngard, so he plays a board game called Thrones & Bones every chance he gets. My daughter is a tornado. She’s the youngest by several years, but I frequently have to order her to quit pounding on him. For her, I wanted to write a girl a strong female character, someone who was absolutely a co-lead, not simply relegated to the role of sidekick. And while Karn is a blond haired, blue eyed lad of what we’d equate with Scandinavian stock, Thianna is a child of two cultures. Her father is a frost giant, and her mother hails from—well, that’s actually a secret in book one, but her dark hair, dark eyes, and olive complexion hint at what we’d call a Mediterranean heritage. Thianna is also seven feet tall. Which you might think is pretty big for a twelve year old, but in the frost giant village where she lives, it’s actually pretty short. Her darker appearance and her size mark her as different from her peers, and several of them—one in particular—make her life miserable as a result. How she deals with this, as well as her own struggle to appreciate the differences she has always despised, is why I think so many readers are already embracing her so fiercely. I think struggles to fit in, or not to, resonate with all of us, whether our eyes are blue or brown. And as I write this I’m realizing I didn’t just write Frostborn for my own kids. I wrote it for that little boy in Little League who thinks there’s only one kind of American. I hope Frostborn is a better response than the one I would have given that day. Today it’s my pleasure to interview fellow Enchanted Inkpot member, Mary G. Thompson, about her latest novel, EVIL FAIRIES LOVE HAIR! What if you could get your fondest wish? You could be gorgeous, brilliant, a star athlete, or a great singer, or you could put a hex on your worst enemy. And all you have to do is raise a flock of two-inch-tall fairies. Easy, right? Ali learns this the hard way when her flock starter fairies get to work. Raising them means feeding them, and what they eat is hair. Lots and lots of human hair. Where to get the hair is Ali’s first challenge. What about the beauty salon? Easy, right? . . .
Before long, Ali’s friends, classmates, teachers, sister, and parents are entangled with the evil fairies, who have their own grandiose and sinister agenda. It’s up to Ali to overcome these magical troublemakers and set things right. Hi Mary! First, let me tell you how much I loved EVIL FAIRIES LOVE HAIR! What a unique spin on fairy lore. We have seen many types of fairies in children’s literature, but none like this one! The fairies were deliciously evil, yucky and hysterical – and I don’t think I’ve ever used those words to describe the same thing before! Where did you come up with the idea of these sneaky, hair loving fairies praying on the deepest hopes and wishes of children? Like most of my ideas, the fairies sort of popped into existence out of nowhere. I was on the subway one night and the title “Evil Fairies Love Hair” popped into my mind. I wrote the opening scene in my notebook on the way home. The idea of growing fairies by feeding them hair seemed perfectly natural to me, and who wouldn’t do it for their fondest wish? I’d probably do it for nothing. I would too! And I love the title by the way! I was immediately captivated by the richly painted fairy world, with all of its rules – including a contract and a rule book! How did you create this fairy society? What was your world building process like? I loved Ali, the protagonist, and I’m sure readers will easily relate to her and her insecurities. Who hasn’t lived in a shadow of a star sibling or friend? And Michael was such a great contrast to her. All of the characters were so well developed. Which character in the novel do you relate to the most? And which one was the hardest to write? It would be hard to deny that Ali is sort of based on me. Everyone who knows me exclaims that the cover looks exactly like me! Unlike Ali, I never had a problem with my grades, but my fondest wish would be to be smarter. You can never be smart enough, in my opinion. I wouldn’t say any of the characters were hard to write. Maybe the perfect little girl who torments Bunny. I hated her too! In this book nothing as it seems. The good kids aren’t really as good as you think, and the bad kids aren’t really as bad as you (and the adults!) think, and the adults that are supposed to be keeping an eye on the kids are clueless. There are so many twists and turns, and yet it is such a funny story. I laughed out loud many times while reading this! Was it hard to keep track of it all and weave the fantasy, humor and exciting plot together? I wouldn’t really say it was hard. Humor, if it works, just sort of happens in the flow of things. Most of the adults’ cluelessness and the plot twists came from what seemed funny to me and what made me laugh. I loved watching Ali learn that she had to rely on herself and her own cleverness to foil the evil fairy plot. To me, the real magic occurs when she believes in herself. This is far from a preachy book, but is there something in particular you would like readers to take away from the novel? The truth is, I just want people to laugh. Yeah, believe in yourself, don’t believe magical creatures, be true to your friends … but mostly, laugh! Well, I certainly laughed while reading the book, and I’m sure everyone else will, too! As the story progressed, the kids in the book re-evaluated what a wish is worth, what the price is, and if they really wanted their wish to come true. The book explores the idea of careful what you wish for – you just might get it. If those evil fairies gave you one wish, what would it be? If I had to stick to the fairies’ list of options, I’d wish to be smarter. Like Ali says in the book, don’t go wasting your wish on a hex! If you’re smart, you can find a way to get all your other wishes. I have many irons in the fire. Watch this space! We will! Thanks so much, Mary! 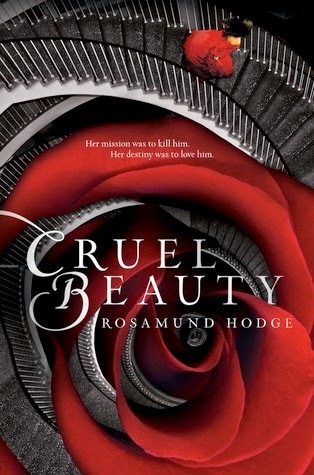 Cruel Beauty read to me like a re-telling mash-up of Bluebeard, Persephone, and possibly some other fairy tales as well. Did you plan it that way? If so, which legend was the spark that started the story? Oh, yes, the mash-up was completely intentional—crazy potpourri is one of my favorite styles of writing—and the spark was realizing how some of the legends were connected. True confession time: when I was a child, I actually was not a big fan of Beauty and the Beast. I liked it just fine, but it felt like nothing special to me. (Heresy, I know.) What I did love was the Greco-Roman myth of Cupid and Psyche. Briefly—an oracle tells the king he has to sacrifice his daughter to a “monster.” But the daughter, Psyche, isn’t devoured by a beast as she expects; instead, the wind carries her to a strange palace with invisible servants who tell her that she is a bride. And every night her husband comes to visit her—but he forbids her to see his face. When her jealous sisters persuade her light a candle anyway, she discovers that he’s Cupid, the god of love. But because she broke his command, he becomes a prisoner of his mother Venus, and Psyche must complete a series of impossible tasks—ultimately going to the Underworld—in order to free him. As much as I loved the story of Cupid and Psyche, I never planned to write a retelling of it. In a way, it felt too perfect: what could I add? Then a few years ago, I read the fairy tale East of the Sun, West of the Moon, which is basically a half-and-half mix of Beauty and the Beast with Cupid and Psyche. (The girl marries a polar bear, who turns out to be an enchanted prince trying to escape the princess of trolls.) Suddenly I realized that all three stories were the same story, working itself out in different ways. That was when Beauty and the Beast became truly interesting to me, and that was the birth of Cruel Beauty. I didn't even realize East of the Sun, West of the Moon was in there! That's another of my favorite fairy tales. The world-building in Cruel Beauty is really unique (side note: seriously, everyone, you will not find anything like it anywhere). Its basis, though, is ancient Greece. How did you decide to base your world there? What kind of research did you do? This is going to sound terrible, but I didn’t actually do much research. That’s because the world-building in Cruel Beauty isn’t intellectual so much as aesthetic. It’s an alternate Earth, but it isn’t the kind has a rigorously worked-out alternate history (like in Kate Elliot’s marvellous Cold Magic, for instance). Instead, the purpose of the world-building is to provide an appropriate atmosphere for the story. I knew the world had to be vaguely Greco-Roman, because of the Cupid and Psyche elements. But I also knew that it had to be vaguely Victorian, because Cruel Beauty is a mad, passionate melodrama, and you can’t do that properly without corsets and brooding Victorian houses. So I just threw all those elements in a blender. My “research” was basically a core dump of all the Greco-Roman material I had absorbed through a childhood obsession with mythology and a high school/college career that spent a lot of time on the Classics. I absolutely love your fierce main character. How did you manage to write a character simultaneously so full of hatred and so likable? That’s kind of a funny question to me, because when I was writing Cruel Beauty, I actually tried very hard not to make Nyx too likable, and I ended up breaking my original outline to do it! But I did still want her to be sympathetic, and I guess the main thing I did was try to make her aware of when she was being hateful. I ended up drawing a lot on my own teenaged experience when writing her. I had a very happy childhood and my parents hardly ever sold me to demon princes. But I did have a bad temper, so I had a lot of experience with being furious while knowing I had no right to be furious. Back then, I would have loved to read about a heroine who struggled with her anger the way I did. So I tried to create that with Nyx. I think you did a great job. I also love the character of the sister, especially the way my perception of her changed throughout the novel. Any insight into her? I dislike both approaches, because they both assume that being innocent and kind means you have no interior life. You’re just a symbol, either of purity or stupidity, and either way you’re not a person. And that’s pernicious nonsense. Being innocent and sheltered does not make you less of a person. It also doesn’t mean you escaped psychological damage, or that you have no capacity for darkness. So when I wrote Nyx’s sister Astraia, I wanted to create a character who was not only innocent in many ways, but who had been treated by her family as the precious, sacred innocent to be preserved at all costs—and who had been damaged by that protection almost as much as Nyx was damaged by trying to give it. Finally, I know you're working on a new book -- are there any hints about it you can share? The new book is called Crimson Bound, and I just finished edits on it last week! It’s not connected to Cruel Beauty at all, except that it’s another fairy tale fusion. In this case, it’s inspired by Little Red Riding Hood and The Girl With No Hands. The heroine is a girl who trained all her life to fight the dark magic overtaking her world, only to end up bound to it instead. Then she gets one last chance to fight back. I can't wait! Thank you so for a fascinating interview. Well, Inkpot fans, it's officially summer! That means hot days, reading by the pool, and a whole new batch of shameless news from your favorite Inkpot writers! National Book Award winner William Alexander has a new book out and GHOULISH SONG is already racking up some award nominations of its own: it's a finalist for the Mythopoeic Fantasy Award for Children's Literature! "the tension between Tut and creepy Horemheb is a well-placed and -paced plot driver. A pyramid history buffs and fantasy fans will delight in excavating." Not done yet! Elizabeth Bird released her Newbery/Caldecott 2015: The Summer Prediction Edition and you might just recognize #5 on the list: THE GREENGLASS HOUSE by Kate Milford! And last but very much not least, Laurisa White Reyes has a new book coming out this week! CONTACT, a YA thriller about a girl who uploads people's psyches with a single touch, comes out on June 23rd with Hallowed Ink Press. It will be available on Amazon, Barnes & Noble & Indiebound. I can tell you personally - this book is amazing. And that's it! Go grab your favorite book and enjoy the summer sunshine. I'll be back soon with more!